Review: Have you seen Fight Club? It's based on a book by Chuck Palahniuk so going into this, I knew I was in for a wild ride. I'm happy to say it didn't disappoint. Our narrator is a nameless former model who was shot in the face and severely deformed. She meets a drag queen at the hospital and her life takes a wild ride. The book style is what I would describe as chaotic-the timeline is constantly shifting, several pages don't have page numbers and it seems almost like a play at times. 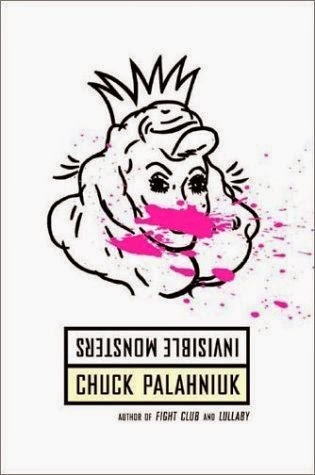 Palahniuk likes to "flash" from scene to scene frequently. While this style may turn off many readers, it worked for me. There are a lot of shocking things in this book and while I didn't particularly care for any of the characters, I felt an overwhelming sadness at the wild conclusion.